WHAT CITIES ARE the best at pushing the limits of industry, design and urban planning, while rethinking the way people live and work? Business Insider has put together a list of the 18 most innovative cities in the world, using a range of metrics from patents per capita to skyscraper height. Singapore has the best infrastructure in the world, including an airport complete with a butterfly garden, pool, movie theatres, hotels, spas, showers, and of course a four-storey slide. Amsterdam is the most bike-friendly city in the world, with a full 38% of all trips in the city made by bicycle. Bangalore, India, is known as the Silicon Valley of India, with a tech sector that brings in $17 billion in revenue a year. Venture capital has noticed, investing $300 million in venture funding in 2012. London has the most economic opportunity of any city in the world, according to PricewaterhouseCoopers. One key is that London is a gateway to the world, with its six international airports. Hong Kong is easily the most vertically aggressive city in the world. Asia’s financial capital has 1,268 skyscrapers, more than twice that of any other city. San Jose, California, might be the most forward-thinking city on the planet, with a staggering 5,066 patents per million residents. Vienna makes the list for consistently having the highest quality of life in the world, thanks to excellent public transit, renowned museums, more international congresses than any other city, and inventing filtered coffee. It also enjoy some of the finest urban planning, with substandard housing amounting to less than 9% of the city’s total. Copenhagen boasts some of the most efficient nationalised healthcare on earth, with both maternity and paternity leave. Rio de Janeiro is leading the way in becoming a “smart city.” For instance, it lets residents use smartphones to alert the city to infrastructure issues. Medellin, Colombia, was once one of the world’s most violent places, but the South American city is now a case study in urban revival. One example: Clever city planning, including the use of gondolas and escalators, has cut hours-long commute times to minutes. 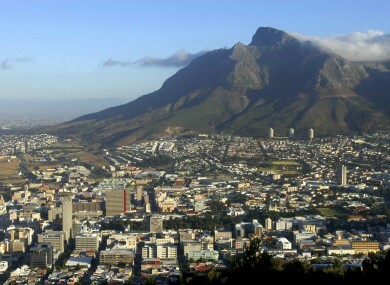 Cape Town, South Africa, makes it easy to get off fossil fuels, like by making solar water heaters available to citizens. Vancouver, Canada, has set a mission to become the greenest city in the world by 2020, which has already led to a 20% decrease in water consumption. Plus, 41% of people walk or bike to get around. Santiago, Chile, has lower corruption rates than anywhere else in South America and is launching initiatives like Start-Up Chile, making it one of the most entrepreneur-friendly cities in the world. Dubai, UAE, features strikingly innovative architecture, like the 160-story-tall Burj Khalifa, the tallest building on earth. Tokyo launched the world’s first cap-and-trade system in 2010 and now has 1,100 participating facilities. Munich, Germany, set an initiative to become totally energy sustainable by 2025 — and it’s 37% of the way there. Seoul, South Korea, has made inroads in becoming one of the world’s top “smart” cities. For example, it’s introducing GPS to the city’s 25,000 taxi cabs — providing real-time traffic information. Email “Patents and skyscrapers...what makes these 18 cities the most innovative places on Earth”. Feedback on “Patents and skyscrapers...what makes these 18 cities the most innovative places on Earth”.